New free css template is here. This one is red with rounded corners all around. I don't think that this one is Web 2.0 design but some may think so. 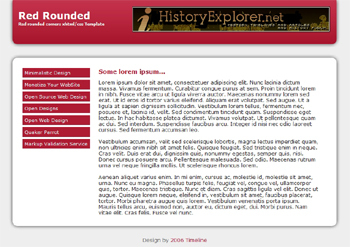 I am yet to design Web 2.0 templates but I hope the day will come soon. Anyway this one is useful for blog or simple content web sites.